We are a group of men and woman that are enthusiastic about preserving and riding vintage motorcycles. We meet weekly on Wednesdays and most Sundays for breakfast. 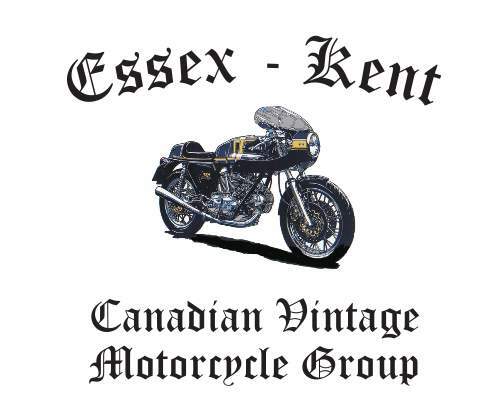 During riding season a ride may follow our gathering to various locations around the county, please check the Essex-Kent calendar for up to date information on time and location. We meet the first Thursday of every month for our once a month session where we discuss different aspects of owning, riding and preserving vintage motorcycles. We hold several events at various functions throughout the riding season to show our motorcycles and promote our section of the CVMG. We also have a yearly BBQ and a Christmas party. We also support many other CVMG Section's events throughout the province when ever possible. WE have many makes and models of motorcycles within our group and most of our events focus on motorcycles 30 years and older. Please visit us at our Face Book page "Essex Kent CVMG"